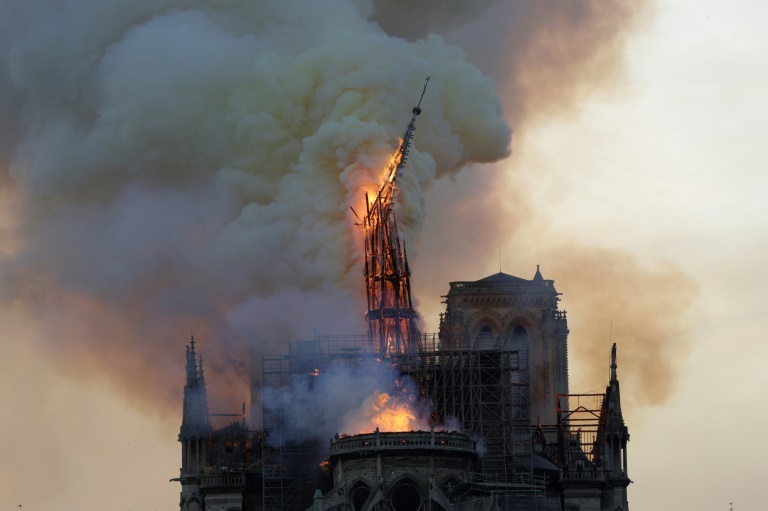 At around 7.50 pm (17:50 GMT), Notre-Dame's spire collapsed and within a few hours, a large part of the roof had been reduced to ashes. INTERNATIONAL NEWS - A fire that spread from the attic of Notre-Dame cathedral on Monday has caused its spire to crash to the ground, and devastated Paris's historical monument. The fire began around 6.50 pm (16:50 GMT). The flames devoured the roof's wooden frame, which is more than 100 metres in length and nicknamed "the forest". 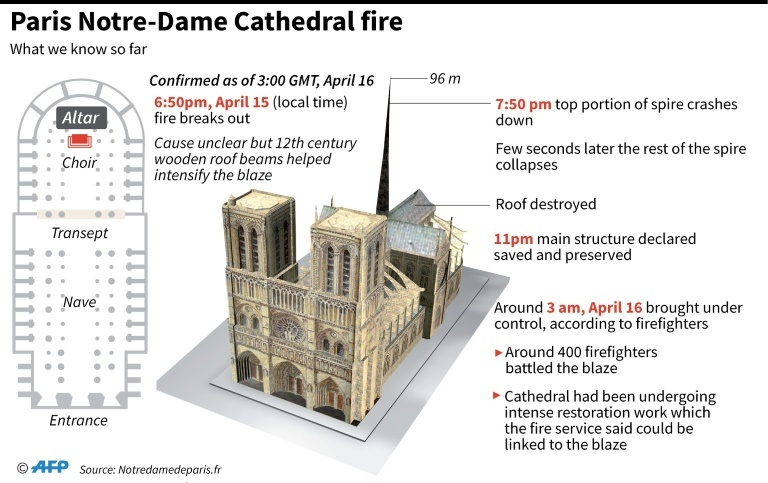 Around 11.00 pm (2100 GMT), they announced that the structure of the cathedral had been "saved and preserved". At around 7.50 pm (17:50 GMT), the cathedral's spire - one of Paris's most famous landmarks at 93 metres high - collapsed.